The Rift S and the Quest will cost $399 each and will be available this spring. Facebook unveiled new virtual reality devices on Wednesday, the latest in the company's efforts take the technology to the mass market. 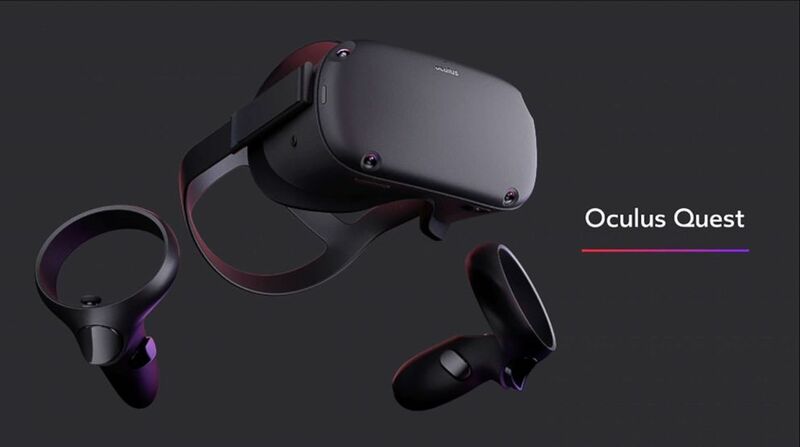 Oculus, the virtual reality (VR) company Facebook acquired in 2014, revealed the new Oculus Rift S headset and its portable VR console called Quest at the Game Developers Conference (GDC) in San Francisco on Wednesday. Both devices will retail for $399 each and be available later this spring, although the company did not specify dates. The Rift S advances the original Rift headset that launched three years ago, although it will still need to be connected to a personal computer. "It has a bunch of upgrades from the Oculus Rift," Oculus co-founder Nate Mitchell told ABC News. In addition to enhancements that will make the virtual world seem more real the headset has been redesigned to be "more comfortable and makes it easier to take on and off, especially for folks with varied hairstyles." The sensors that were previously on the computer are now on the headset, so "the headset is able to track your movement in 3D space, as well as track the controller," Mitchell said. It will also establish more of a bubble for users to stay within, or what Mitchell calls a "guardian boundary," so "the system will make sure you sure you stay within your boundaries and not step on your dog." Space awareness while playing a VR game is a legitimate concern. Hobbyist gamer Aaron Apple said he played with the Sony PlayStation VR headset at a friends' house and that he ended up "banging my knees several times." Still, Apple, a 35-year old who works in marketing, is excited about the next generation of VR gaming, which is still pretty niche. On a recent ski trip, he played ASTRO BOT rescue mission for hours with Sony's PlayStation VR headset. It reminded him of discovering games as a kid, he said. "It was one of the coolest game experiences I've ever had, especially as an adult. That was such a delightful experience in every sense. It was so immersive, like an adventure — some little surprises for you every time you turn a corner," Apple told ABC News. Oculus also unveiled a portable all-in-one VR device called Quest that will ship later this spring. "They're a massive step forward for gamers," Mitchell said. It will launch with more than 50 games, including Beat Saber, a "rhythm" game like Rock Band or Dance Dance Revolution, in which players slice virtual blocks in the air with sabers. "I like this because it gives the industry — developers, creators, and in small part, the users — more and better options to experience and create VR," Tuong H. Nguyen, an analyst at Gartner, told ABC News. "These are chicken and egg issues. You need consumers to demand VR experiences, but you also need more and better content to make people demand it. Rift S and Quest are stepping stones in this direction, toward a future where VR will be a more common user interface, rather than a niche tech experience."